Flat-mode particle machine adopts double-stage driving of belt and worm and gear.It has reliable operation and low noise. Flat-mode particle machine adopts double-stage driving of belt and worm and gear.It has reliable operation and low noise.The feeding relies on the gravity of the material itself, which can avoid jams. 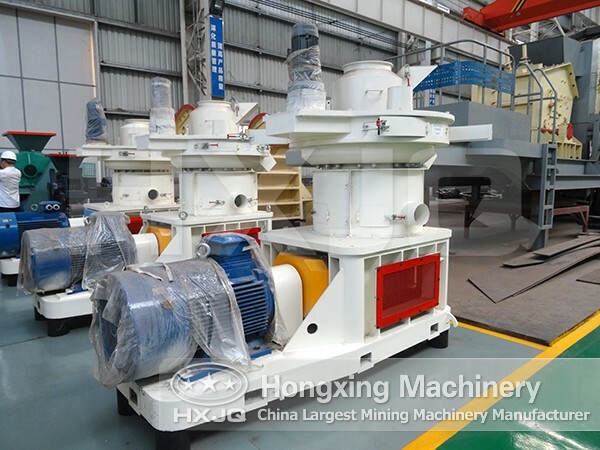 The rotation speed of the main shaft is about 60 RPM, the linear speed of the roller is about 2.5 m/s, which can effectively removes the gas in the materialand increases the tensity of the products. Due to the lower linear speed and the decrease in noise and wear of parts in the operation of the machine,the roller bearings have the features of permanent lubrication and special seal, so it can prevent the lubricant pollution in the process of granulation and reduce the loss of lubricant. According to the materials,the flat- mode particle machine can be divided into different types like wood chips,sawdust,straw,biomass, and plastic. It is widely used for material prilling of crops straw, living garbage, waste of the factory like various sawdust, rice husk, cotton stalk, cotton seed hull, weeds,etc.and other materials with low bonding rate and shaping difficulties.It is also can be applied to bio-bacterial manure, organic fertilizer and compound fertilizer granulation in low temperature. 1). There is no need for drying (material's moisture content should not be less than 13% of national export water standard).It adopts the differential, universal joint rotation, it is equipped with motor or diesel engine. 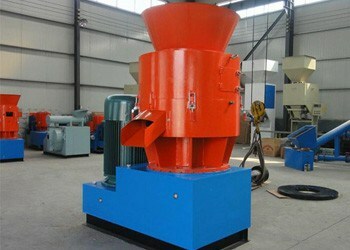 It has low energy, high output, easy operation. 2). It adopts extrusion granulation and the new technology of polishing integer, which completely solves the key technical problems in traditional granulation process such as low organic material content (about 30%), difficult in granulation, raw material should be dries and crushed. 3). It can produce round ball pure organic fertilizer, organic and inorganic fertilizer, biological organic fertilizer, the particals are uniform, smooth, round with high strength, good liquidity. 4). It adopts unique techniques which integrate low temperature drying, cooling, screening as a whole progress, which reduces the equipment investment and operating cost.The microbial survival rate is higher than 90%. 5). Widely used for organic waste gas granulation in animal husbandry and aquaculture, feed mills and sugar, paper, medicine, cigarette factory and other industries, it is the ideal equipment for (biological) organic fertilizer production enterprise.